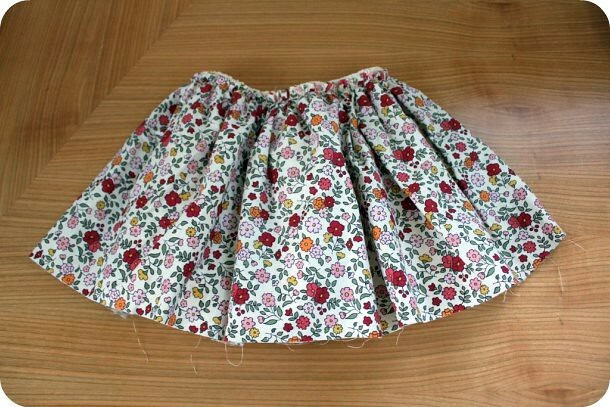 Do you like this skirt I made? Would you buy it for a little girl? Just playing with some ideas for my little project.. I'll tell you more about it soon! P.s yes, skirt still needs hemming, but I kind of like it with a rough hem (once the threads are cut off). love it! Great fabric choice and I like that it's nice and full - good for twirling! I'd buy it for sure. I wish I could make it. That's one of my goals over the next couple of years! I really like florals on girls. Hi, I'm new here. Hapy to have found you. Yes, i would buy. I have a 4 year old who would LOVE it! Yeah for sure. I'd love one for myself too!